When newly elected president Stephen Blades reads the traditional letter from the previous occupant of the Oval Office, he makes several startling discoveries. Seven years prior, NASA scientists provided proof of an alien construction project in the nearby asteroid belt. A brave crew of astronauts was sent to investigate, and they are just a few months from the location and the truth. Secrets, lies, cover-ups, and old-fashioned distractions abound in this political space thriller. 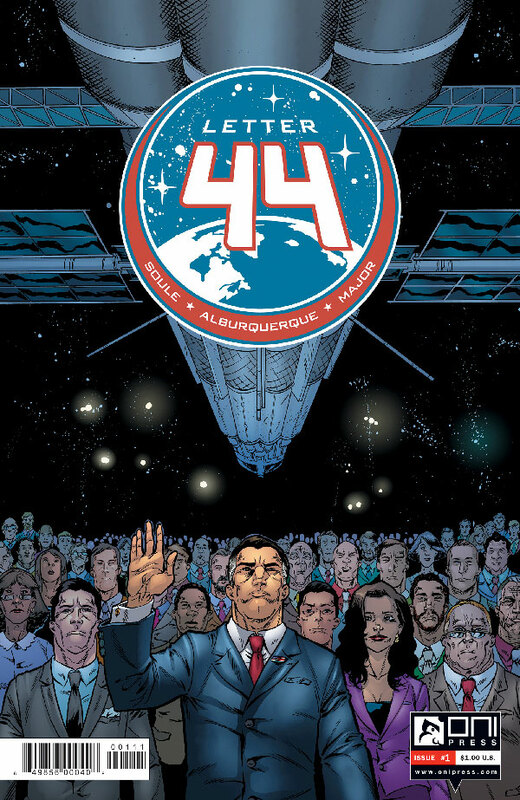 Charles Soule (Superman/Wonder Woman) and Alberto Jimenez Albuquerque (Pathfinder: Goblins) present a politician’s worst nightmare – the realization that the platform of reform he won with will be up in smoke if the public discovers aliens poised to invade – with a degree of sincerity and intrigue bound to please even skeptical readers. When the small town of Arcopolis is threatened by hordes of kaiju and other violent beasts after the death of its heroic protector, a teenage boy descends from the higher dimensions to come to the rescue. 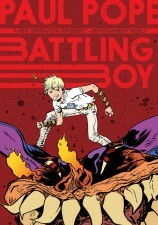 In this all-ages graphic novel written and illustrated by comic book legend Paul Pope, giant monsters come face-to-face with demigods and superheroes, but can Battling Boy fend off the villains that Haggard West could not? Full of rousing action on a mythic scale, Battling Boy is sure to thrill longtime comics fans and newcomers alike, as Arcopolis’ newest champion is put to the test. Originally lost in the wake of Identity Crisis, this former DC book by Dan Jolley and Leonard Kirk always seemed a little out of place in the DCU. Its simple yet elegant premise that most supervillains wouldn’t be stupid or nuts enough to draw attention to themselves by adopting flashy, costumed personas, felt out of step with the big iconic names populating DC’s vast universe. Now firmly back in Jolley’s hands, this underrated property has a new, more appropriate home with Dark Horse Comics. First up? 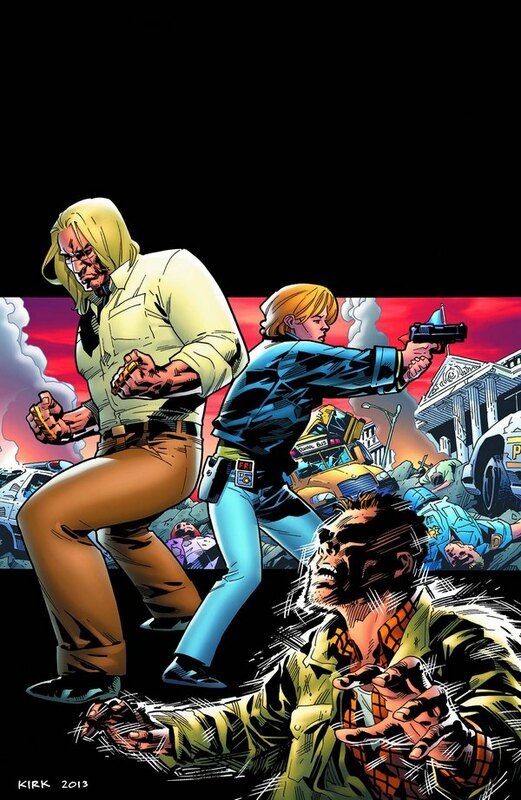 A rogue superhuman’s destructive powers unleashes a flood of controversy when a scientist’s response rocks the nation, putting the Bloodhound, Travis Cleavenger, in the middle of the spotlight. 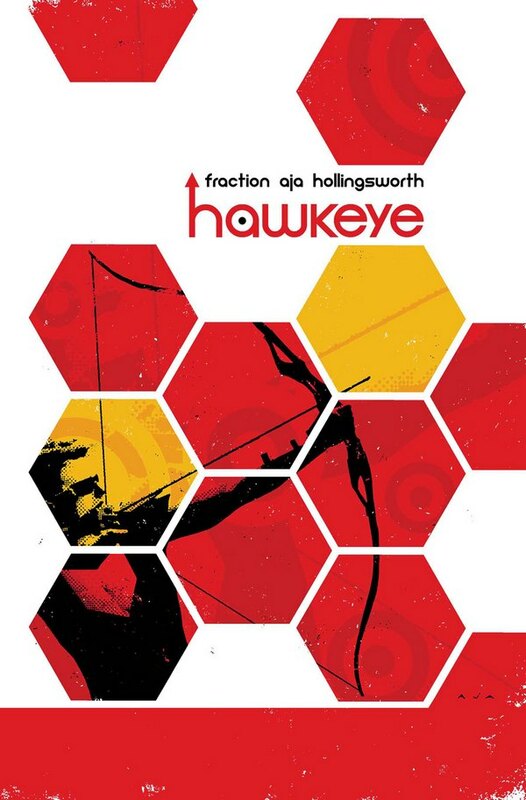 It has been over two months since we have been graced with an issue of Hawkeye. By the time issue 13 comes out this Wednesday, it will have been almost four full months since an issue illustrated David Aja has come out. And, you know what? If this issue is like anything like any of the other Fraction/Aja team-ups, the wait will have been well worth it. One of the most original and exciting comic books in the industry finally returns this week with a story teaming Clint with his brother Barney. Barney last appeared in the most recent regular issue of the Hawkeye series, making a character we know little about instantly sympathetic. Brotherly hijinks will ensue. 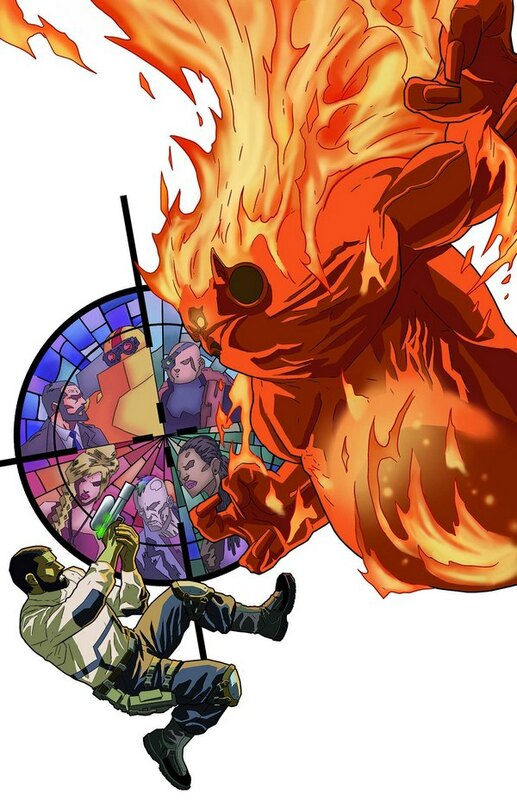 With all of the trappings of its fine, acronym-titled forbears, Justin Aclin’s super-secret team of monster-hunters has something S.H.I.E.L.D. and the B.P.R.D. 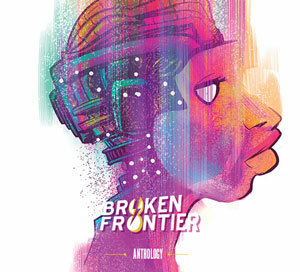 don’t – a strong philosophical undercurrent anchored in Atheism and skepticism. If it all sounds a little heavy, never fear, Aclin and Selma never lose sight of their title. With its original premise, action-packed stories, and robust visuals, S.H.O.O.T First might just have a winning combination of spectacle and sophistication. Justin Aclin (W), Nicolás Daniel Selma (A) • Dark Horse Comics, $3.99. 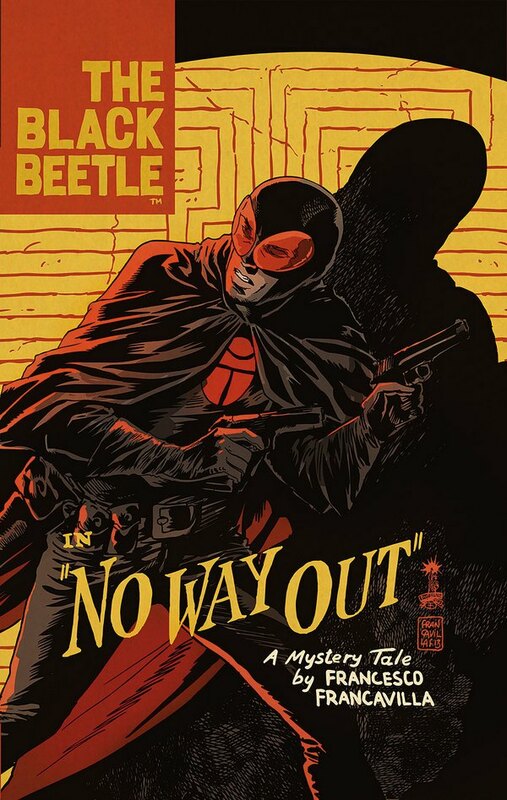 Black Beetle is a Francesco Francavilla tour de force. It is also superhero noir at its best, which explains why so many of his peers were keen to help Francavilla promote the book. With the second miniseries, Necrologue, starting in November, Dark Horse is packaging the first mini along with the Beetle’s first appearance in Dark Horse Presents, in a hardcover arriving this week. Set against the backdrop of the fictitious Colt City with its dark back alleys and smokey nightclubs, the Beetle’s first adventure has him solving the mysterious crime that wiped out two of the city’s mob organisations. Thrills, chills and lots of bruises ensue, with the Beetle often pulling out a gadget or two to throw off his adversaries on beautifully laid out and tightly colored pages. This is a book for everyone that loved Francavilla’s acclaimed run on Detective Comics and for whoever has a heart for old-fashioned superhero storytelling where the dark and depressing and the widescreen panel don’t dominate the page. Nifty anecdote: Francavilla even hired a martial artist and Hollywood stuntman to help him choreograph some of the longer fight scenes.